I almost don’t want to tell you about this. You need to go hike the POST-protected Jean Lauer Trail at Pillar Point—it’s a must. There are few places in the Golden State where you can explore the crust of the continent with views of a world-famous surf break, coastal mountains, whales and dolphins… plus it’s dog-friendly and wheelchair accessible! The hike starts with a steady, gentle climb to the top of the coastal bluffs. With each step, the sound of the ocean grows louder, building excitement for the views that lie ahead. And then, as you crest the lip of the bluffs…boom. The cool salty air hits you, and the views—fuhgeddaboudit. Looking for more great hikes by the beach? 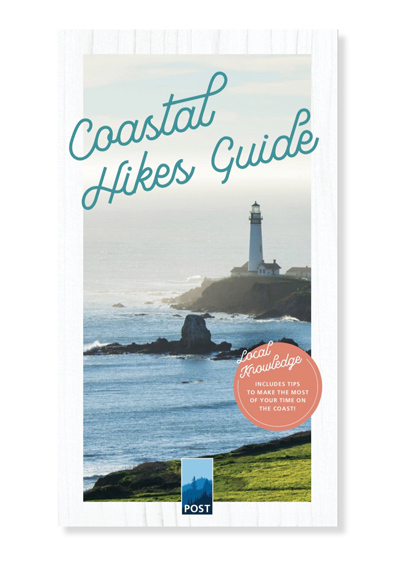 Download our Coastal Hikes Guide! If you visit in the winter, there’s a good chance you’ll have views of the world-famous Mavericks surf break catching the season’s strong northern swells. Surfers from around the world flock to this break every winter to ride these giants, with wave heights often exceeding 50 feet (yikes!). Bring some binoculars though, as the wave breaks about a mile offshore. Hike the right direction and this trail will lead you to the Moss Beach Distillery. Locals say the place is haunted, but it’s never stopped me from indulging in some coastal libations. Be brave. The place is delightful. Further down the trail is the Fitzgerald Marine Reserve, arguably one of the best places to go tide pooling in the state. If you want to get close to some local wildlife, this is the place to do it. But be sure to check the tides before you leave as you’ll want to arrive during the low tide. Season: All year, but the fall is particularly nice as there’s typically less fog at that time. Accessible parking: One wheelchair accessible parking space is available in this small lot. 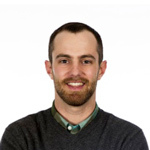 The hard-packed, gravel surface is level with little to no grade. Accessible restroom: Wheelchair accessible, ADA-compliant bathroom at the trailhead.